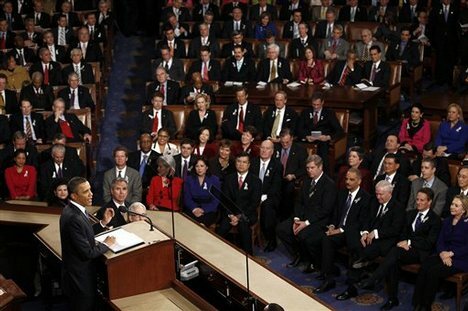 As the pundits parsed over President Obama’s State of the Union address last January 25th – mainly on the budget deficit, the need for more jobs, the sputnik moment for research and innovation – little is mentioned on three parts of Obama’s speech which resonated to non-American ears as reflective of American values. In the very same chamber, a few weeks ago young college students cried and embraced one another when Congress voted to defeat the Dream Act – a hope-tinged acronym for Development, Relief and Education for Alien Minors. The proposed legislation would have paved the way to permanent residency for students who arrived illegally as minors - subject to passing a set of conditional criteria such as having no criminal record. To much of the world – it is a rarity to hear a leader speak with such compassion for a group – foreigners - often used as a lightning rod for national woes. The world heard an American leader reason out for a sensible application of justice and fairness. This lyrical and tangential reference to homosexuality that night has neutralized the acrimonious implications of a word that has been associated with perversity and frivolity. The world heard a heterosexual American man make a case for a morality that is taboo and subject to discrimination if not hostility or death in many countries even within America. Muslims – family? This consanguineous affirmation – received with a standing applause by Congress – was to the eyes and ears of the world astounding and in some regions mind-boggling on how one should treat their enemies – or in this case perceived enemies. A speech is a speech – but to the world outside the US, President Obama’s utterances laden with so much humanity and spirituality were fascinating and intriguing.